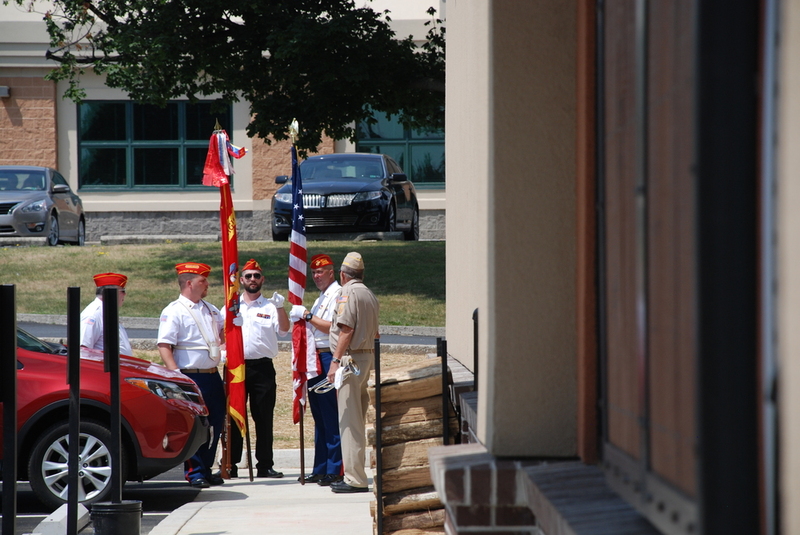 On July 18th Detachment 296 provided the Color Guard for the Whitehall Mission BBQ. It was a nice ceremony beginning with us marching out to the main flag pole, a call to colors, the main colors of the building risen, and followed by the national anthem. 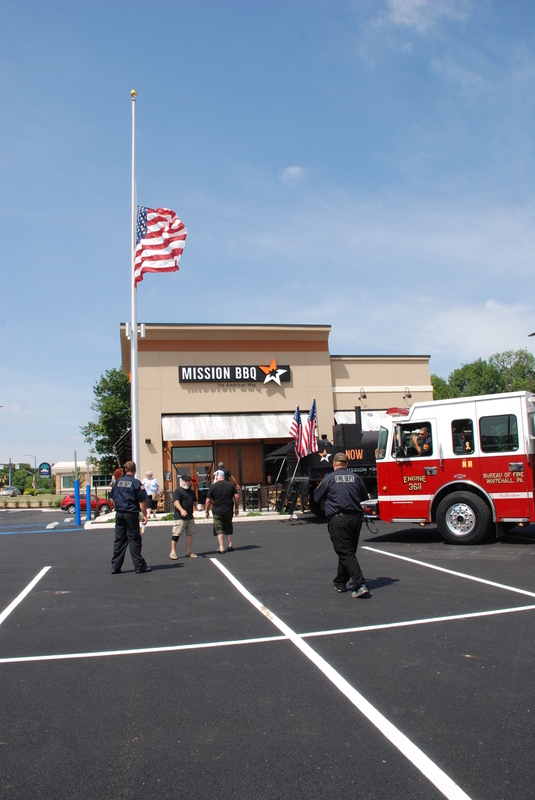 The support that Mission BBQ provides for veterans and first responders is second to none. The entire interior of the store is designed with various photos and decor depicting that support. All of the staff wear and Mission BBQ uniform that includes a ball cap of either a military branch or one of the first responders organizations. If that isn't enough everyday at noon, work stops and the national anthem is played. If you get a chance go help support an organization that definitely supports us. Also in my not so humble opinion the food is phenomenal.